MEASUREMENT: You need this so you can figure out the width of the belt you're currently using. Concept: The Belt Buckles are casted out of Solid Fine sterling silver (Nickel Free). Great care was taken to hand layer the filigree vintage pattern enclosing each stone. The "Hook" + "Latch" are casted out of copper due to the durability issues concerning the pliability of the silver as a casting agent. Antique polish was applied to the entire outer layer to preserve and showcase its vintage texture. 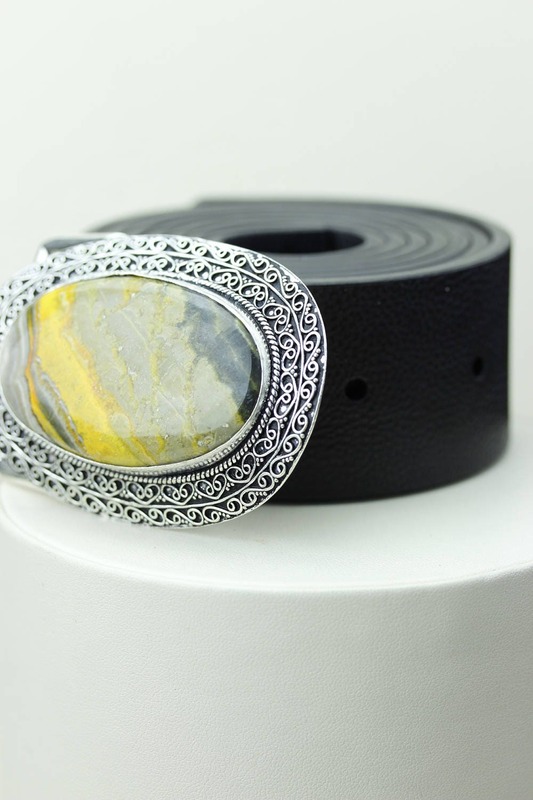 As an introductory launch into a complete diverse line of jewelry, I have marked these Belt Buckles to the bare minimum cost to allow my clients to enjoy a whole new paradigm of sleek belt buckles with versatile appeal for a lesser value. Craftsmanship: I wanted to do something bit more creative than what was done / is being already offered. To start at the very beginning, I decided to buy rough rocks straight from local mines/ suppliers by the lbs to procure the cabs in the exact shape and size necessary to begin my journey. 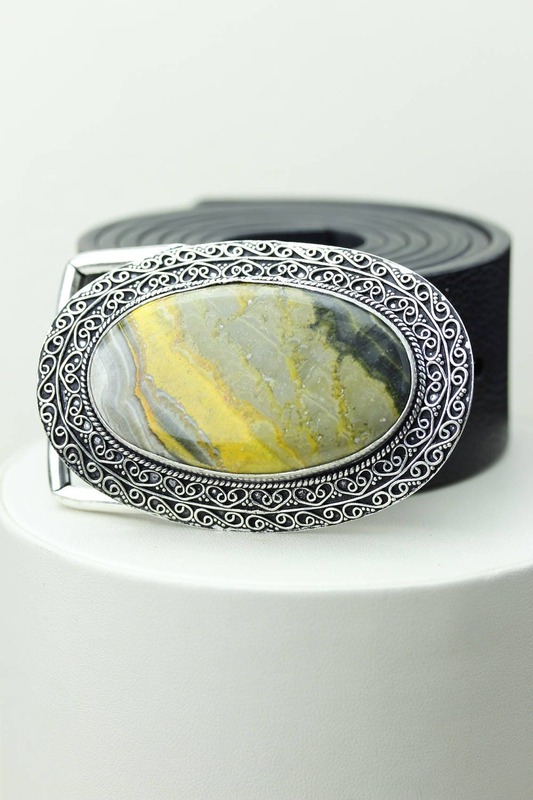 Next step, was to use variety of vintage, contemporary and unique patterns to totally enclose the stone with silver giving the belt buckles more depth and durability. 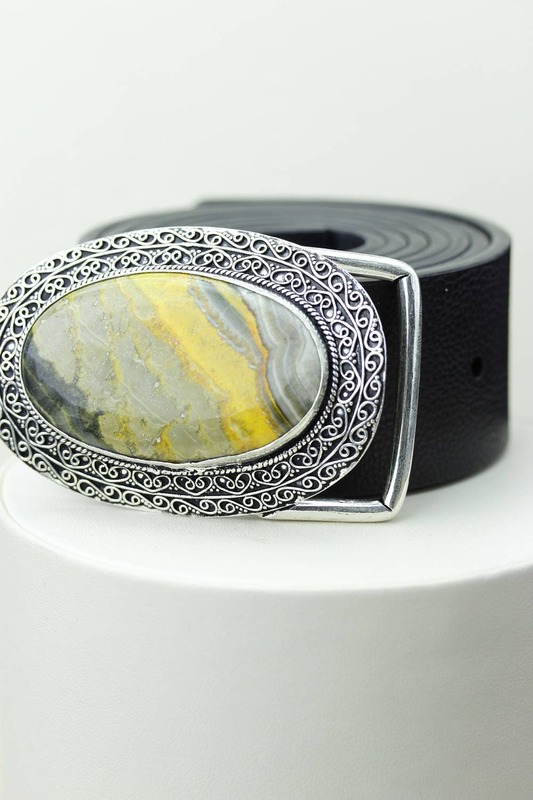 Price & Affordability: Considering the large varieties of gemstones used in the belt buckles, I wanted to keep the price barrier at a lower point. One way to accomplish this is to cut the cabs from the rough rocks directly, which eliminates the need for a middleman. Secondly this gives me larger control/flexibility over the quality and pattern of cabs that can be extracted. ►Why buy my belt buckles over the ones available in the market? ■ The answer to that is quite simple. 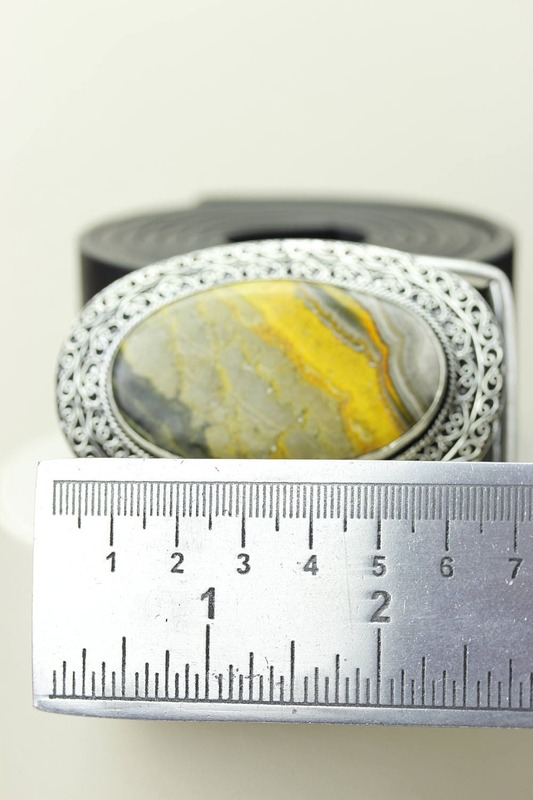 I concentrate my effort on gemstones primarily, which allows me to offer my customers with a product that is authentic and high end from the Get-go. Even if you were to go buy cabs of this quality, it is going to cost you quite a bit. Lots of time and effort is spent on the craftsmanship of each of these belt buckles. It is a prolonged procedure from start to finish. ■ I DO NOT use cheap Chinese/East Indian filler stones (thin slice of stone on top, cement or foil covered on the bottom to mask the depth) to fabricate the product. 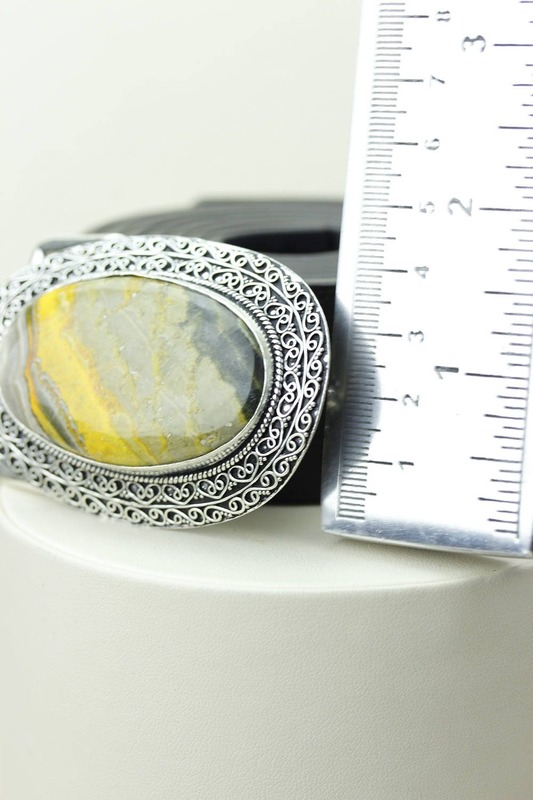 Each buckle is left open in the back for a reason, so customers can see through the setting onto the back of the stone.